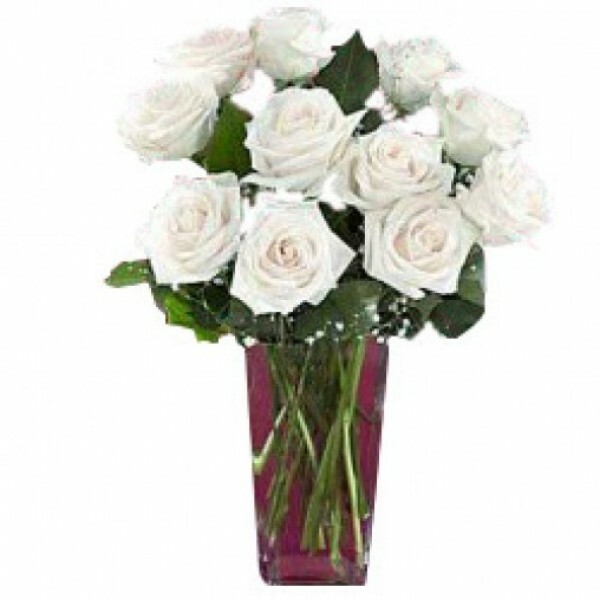 White Roses are elegant, impressive, sophisticated and stunning. These classic beauties will make an unforgettable impression. So, surprise someone with a bunch of 12 White Roses and a Glass Vase.